Russia needs a tougher budget and tighter monetary policy to rein in inflation, the International Monetary Fund said in a statement. 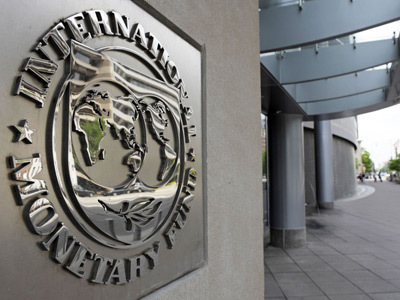 In recent days the IMF has repeatedly warned that it fears Russia's economy is in danger of overheating – implying that demand is growing quicker than potential output, driving up inflation. Although inflation has stabilized in recent months, the fund's estimate of Russia's core inflation remains high at around 6.5%, which means the country's central bank is likely to miss its 5-6 % inflation target for 2012, which was set after 2011's record-low price growth. It was the 2011 growth problem that raised pressure on the central bank to increase interest rates. Last month Aleksei Ulyukayev, the First Deputy Chairman of Russia’s Central Bank, said the bank isn’t ruling out a first change to its policy rates this year in August, as inflation risks are higher amid speedy economic growth. In July the bank decided to keep the refinancing rate unchanged at 8%, which is close to an all-time record low. "saw scope for further improvements to allow for the effective rebuilding of the Reserve Fund." The Reserve Fund, which was set to cushion the federal budget against a fall in oil prices, is now worth some $60 billion, or about 3.2% of GDP, and saw a sharp decrease in value from $143 billion in 2008. 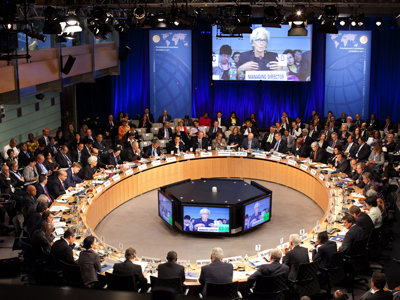 The IMF pointed out that structural reforms are also vital to mend the country's investment climate and long-term economic growth, suggesting that Russia improve the rule of law, reduce corruption, and speed up the process of state-owned companies going private.